This weekend I made a double batch of my Mom's Chicken Cutlets, always like to have these in the freezer. 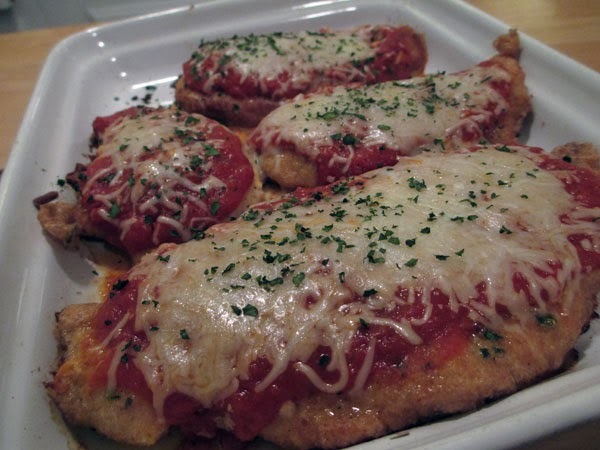 Tonight Chris added some marinara sauce, from the freezer, and made Chicken Parmesan. This chicken recipe always results in a moist breast with a delicious fried egg coating. The sauce and cheese only added even more flavor.